Touch phones are all the craze these days and your CHARM IT! 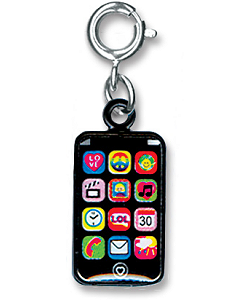 girl will love this oh-so-hip touch cell phone charm, complete with 12 "app icons," battery level indicator, and signal strength bars. This CHARM IT! 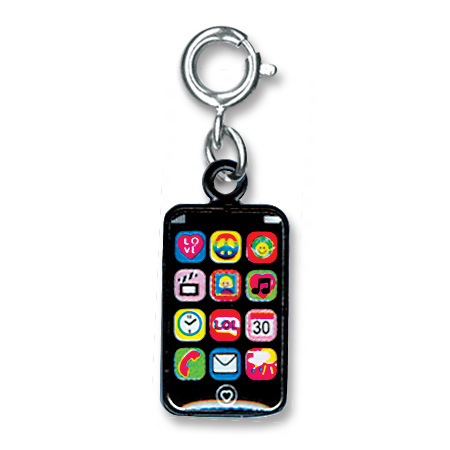 Touch Phone charm is a fun and colorful addition to any charm collection. With a simple snap of a clasp, girls can personalize their CHARM IT! jewelry with this CHARM IT! Touch Phone charm. This yummy One Smart Cookie charm features a stack of books and an adorable smiling chocolate chip cookie. This adorable little CHARM IT! Bubbles Charm, complete with dangling bubbles wand, is a fun celebration of classic childhood play.